I applied and received copyright protection for my infinity designs. The concept of this line is versatility. 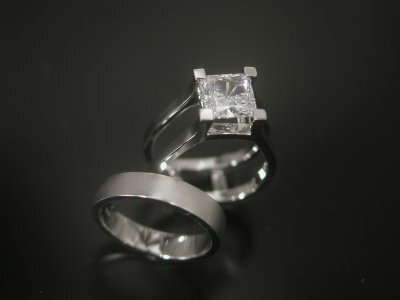 The wedding sets allow the wedding band to slip underneath the engagement ring creating a balanced design. The bands may be changed for versatility and worn alone or stacked together. The possibilities are endless and include concepts such as reverse color metals, inlay, various setting process as well as gemstones. Hand engravings may be copied from drawings or elements of pictures to create the client’s signature engraving. 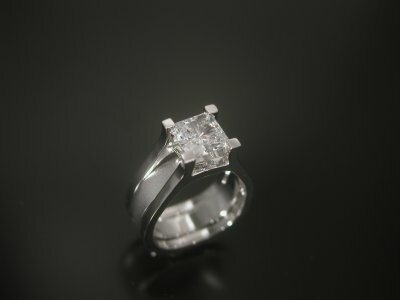 Man’s bands may be created to compliment the woman’s assembled. The enhancers in the Infinity Designs line also create flexibility in the piece with respect to the metal as well as the gemstones.